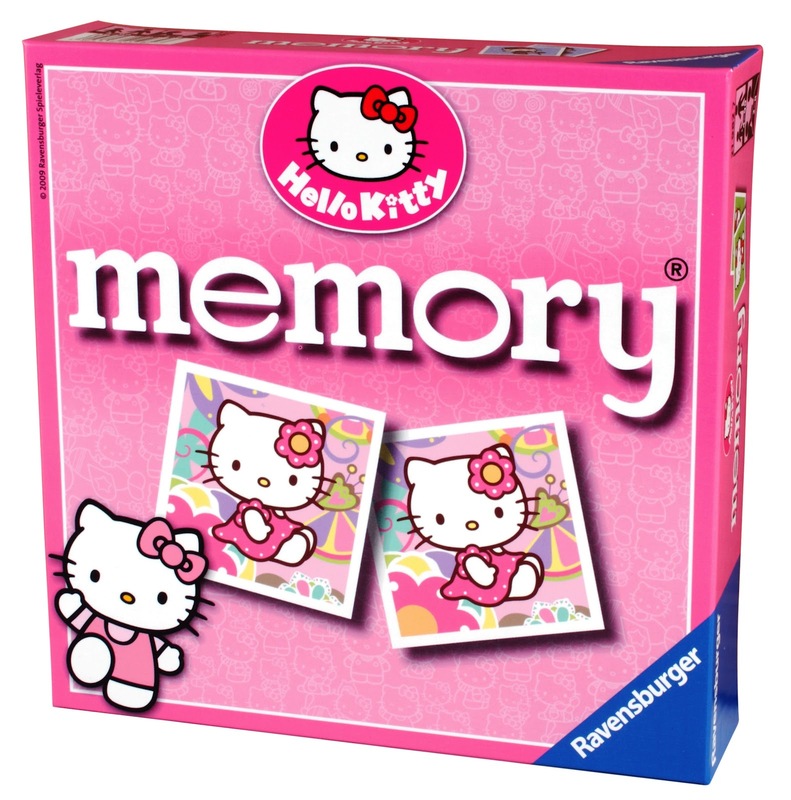 This Mini Memory Game is brought to you by Ravensburger, which can be found in the Memory section on their site. We were lucky enough to be sent a Hello Kitty design version for my girls to play and It couldn't have arrived at a better time. The Summer Holidays have been a long, hard struggle already. It's so hard to keep the kids entertained every minute of every day but when this Mini Memory game arrived I found a new saviour. My girls love this game, it's one of their favourites as it's so easy to play and now with pretty Hello Kitty pictures it's even better! 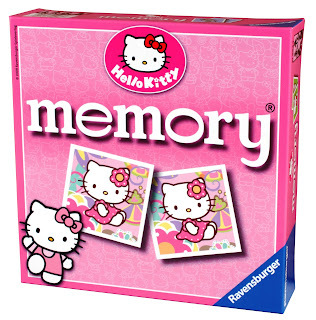 Mini memory is a set of 48 high quality memory picture cards, making 24 pairs in total. The cards feature different images of the featured characters. 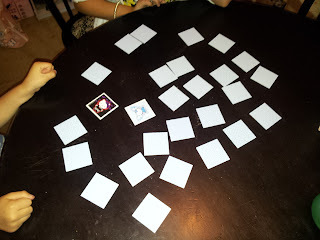 The game play can be varied to suit different ages and abilities; for younger children use fewer cards like I did. The memory cards are made from sturdy high-quality card, laminated on both sides with a colour print. Each card measures approximately 5 x 5cm and are aimed at boys and girls from 3-5 years. 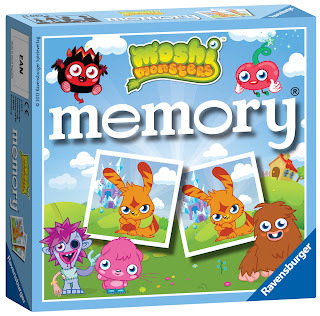 One of the new boys designs is the Moshi Monsters which is also very cute. My girls LOVE this game. It's fun, easy and very addictive. I can happily leave Chloe and Lily sat at the table with this game and leave them too it. We do get a little cheating going on every now and again when one of them tries to turn over more cards than they are allowed or they try to fix where they put the cards at the start but that's easily fixed with a quick "Play nice or I'll take them away" ;) Works every time. I took a few pictures of my girls playing last week. 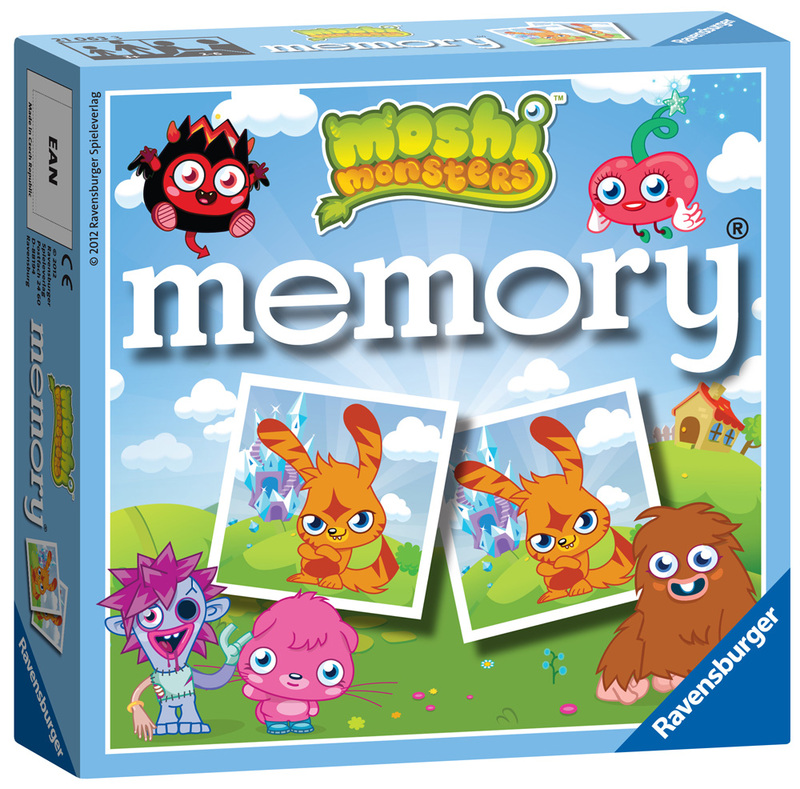 Mini Memory is great fun, my girls give it a fantastic 5/5. 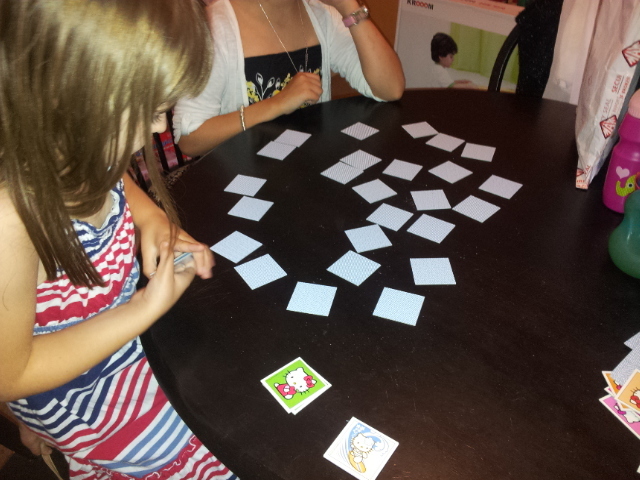 The pictures are cute and colourful, the game is simply yet fun and my girls just adore it. Any game that keeps them happy, keeps me VERY happy so a huge 5/5 from me too. I quite like playing this one myself too.